I don't know about you but I love Sara Lee's pound cakes since I was a child and would always eat it together with a cup of fresh milk. 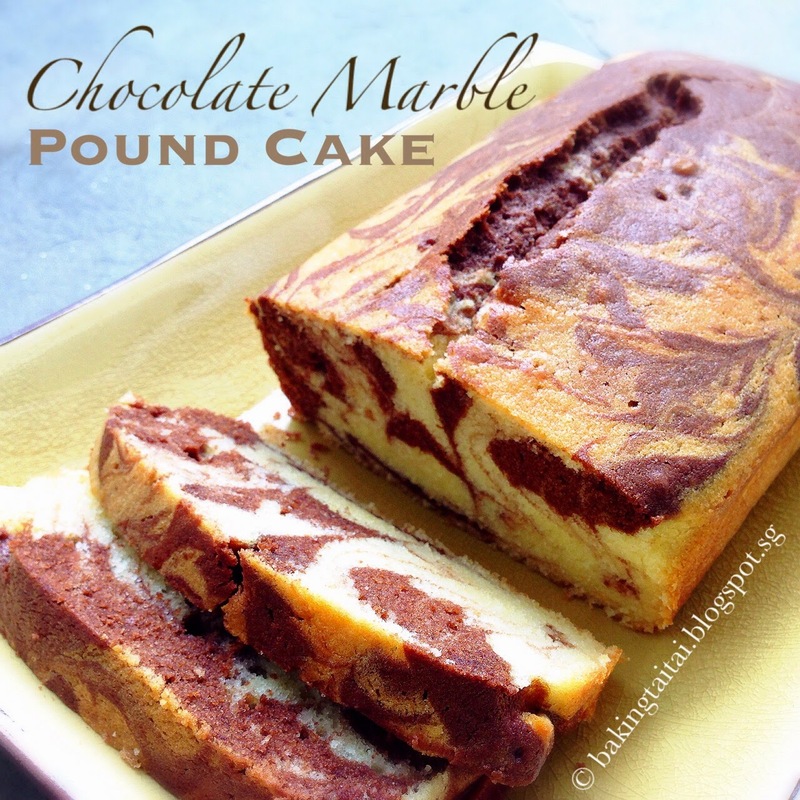 Three months ago, I shared my 'Marble Chocolate Pound Cake ' and it was super well received as many who have baked it feedback that it tasted exactly like Sara Lee's marble pound cake. 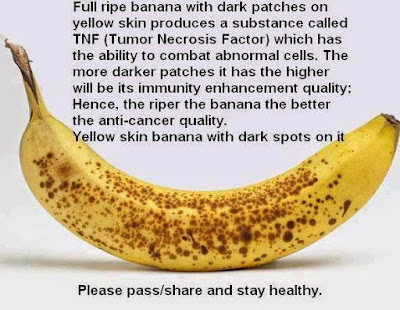 As I had some full ripe bananas sitting on my wet kitchen counter top, I was thinking if I should use it to bake my all time favourite 'Banana Cake' (this is another highly recommended cake which many of my readers have tried and feedback that it is so soft and fluffy) or try something new. 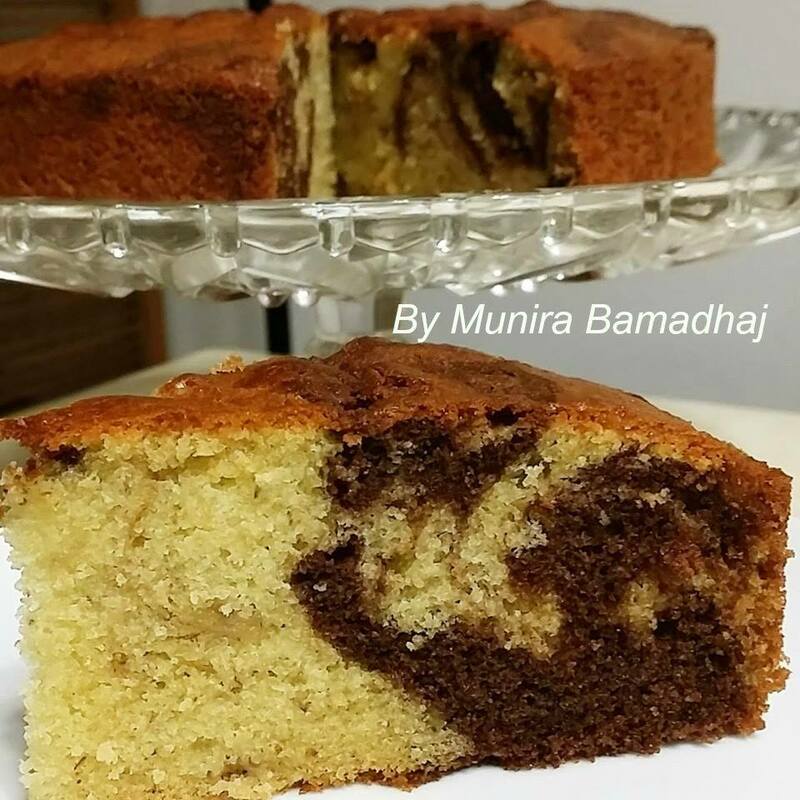 Then that big bottle of Nutella caught my sight... and here you are a Banana Nutella pound cake which is fragrant and tasty! 4. Whisk the plain flour, baking soda, baking powder and salt well together in a bowl. Add the flour mixture into the egg mixture, 1/3 at a time, alternating with milk. Use a spatula to fold in gently until all traces of flour is gone. 5. Divide the batter into 2 portions (2/3 + 1/3) . Add mashed bananas to the bigger portion. The smaller portion mixed well with nutella. 6. Spoon the two mixtures in alternate blobs into the baking pan lined with baking paper. Level the top and swirl with a wooden skewer through the mixture to create a marble effect. Do NOT overmix or you will end up with a light brown cake! 7. Bake in a preheated oven at 160 degree Celcius top/bottom heat for 50~60 minutes or until a skewer inserted into cake comes out clean. Crack surface is the characteristic of a pound cake. 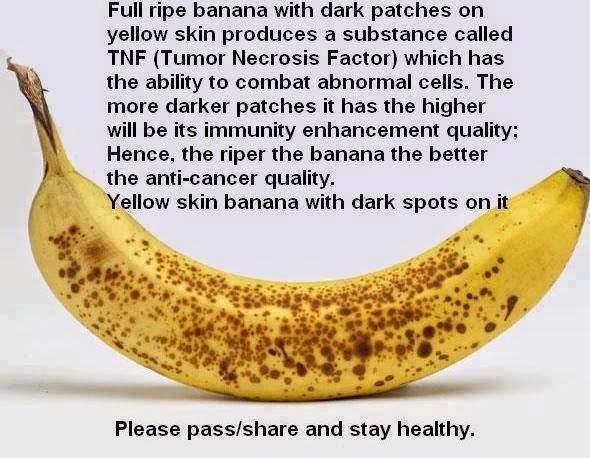 Banana & Nutella are great combo and the best of friends! Munira says, " This is so good, love it! It's a keeper! " 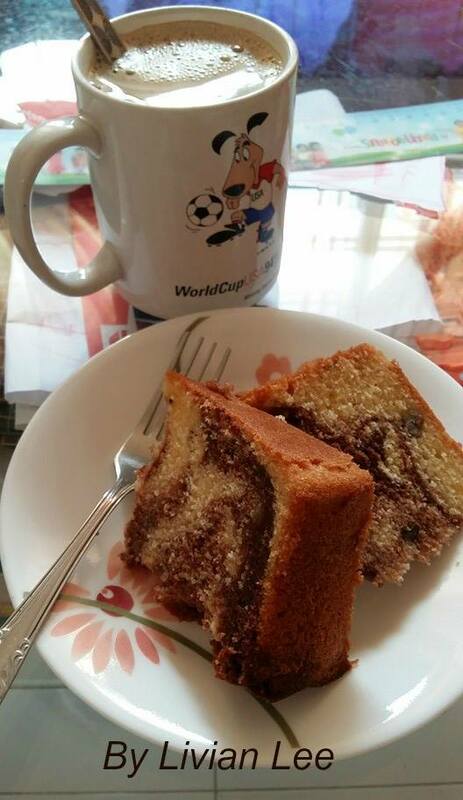 Livian says, "Falling in love with this cake with a cup of coffee, love it very much!" 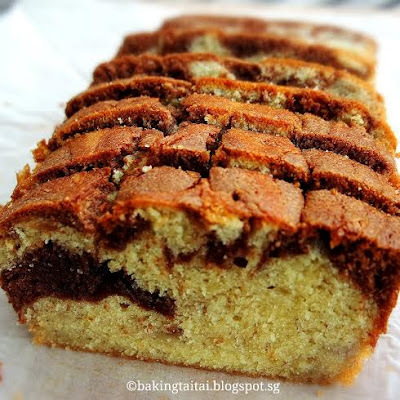 Click 'here' for the Chocolate Marble Pound Cake recipe. Click 'here' for the Banana Cake recipe. Click 'here' for the Nutella Banana Oat Muffins recipe. Hi Barney, thanks for your nice comment and support! 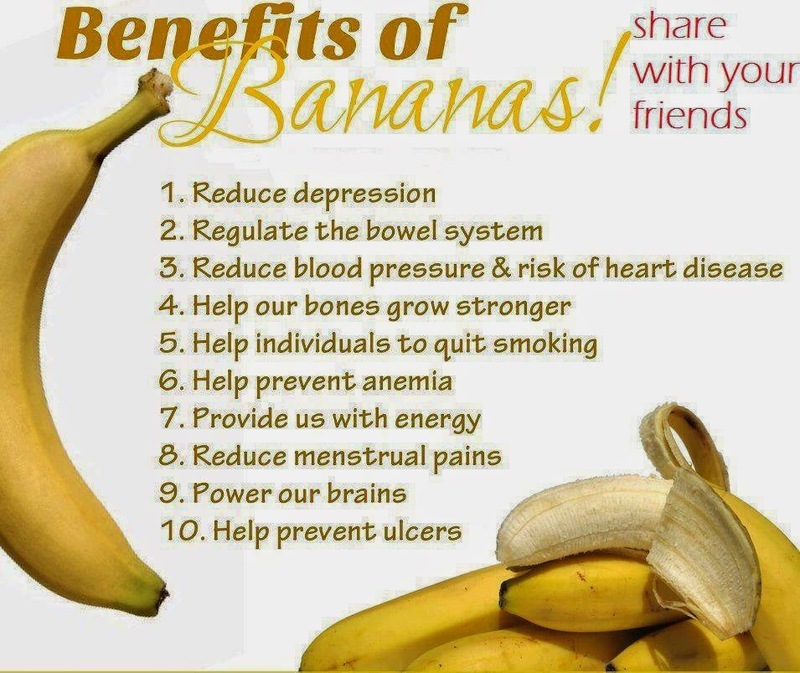 Agree .. banana & Nutella are great combo. 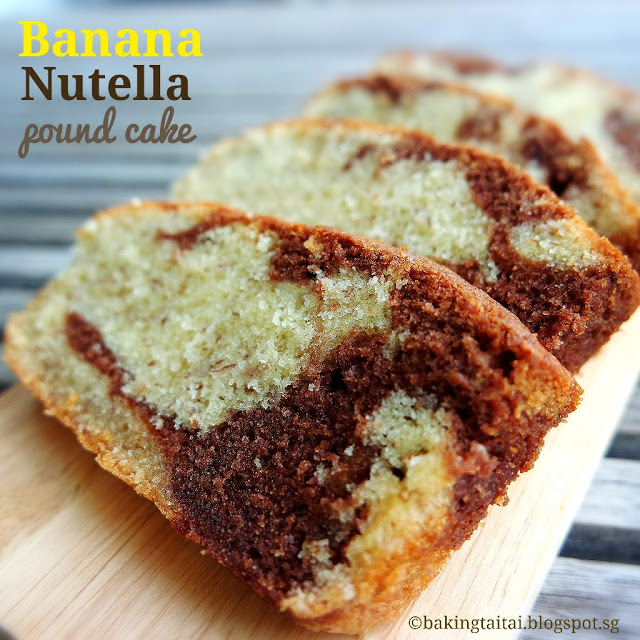 I could smell the nice buttery banana & Nutella fragrance.